You can now set up automatic employee payments for your team so they are paid each pay period at the frequency you choose. You can also control what happens with idle time. These premium features are available to all Hubstaff organization owners at no cost until June 30. In July, we will be releasing premium plans that will include these powerful features and more. You’ll be able to upgrade your existing plan to a premium plan on the 30th to continue using these premium features after that. Automatic payroll and idle time control makes it even easier for you to effectively manage your team without having to spend time on manual tasks. Combine these with application monitoring and URL tracking and you’ll have solid insight and the ability to run your team like never before. 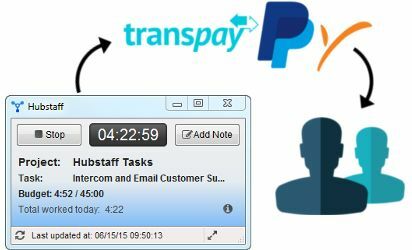 Enabling your team members for automatic payroll is very simple. Simple add your payment account to Hubstaff, then add your team members. 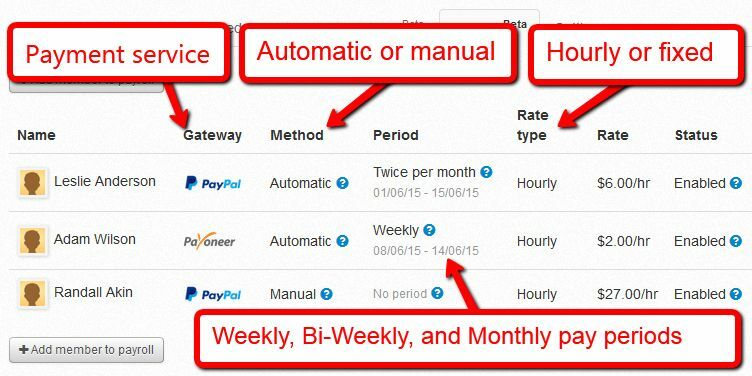 You can set their pay periods to weekly, bi-weekly, twice a month, or monthly. 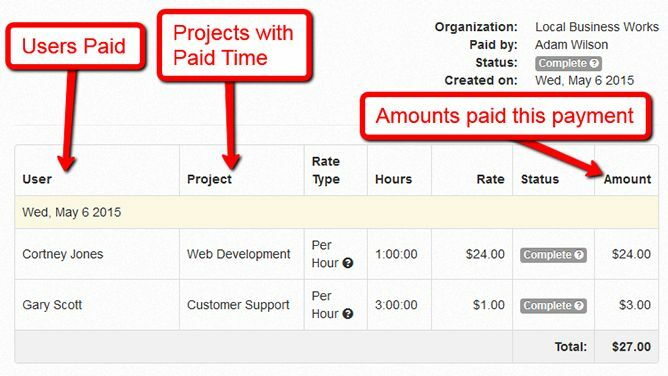 You can pay your team members hourly or fixed payments. You can also select manual payments for team members if you’d prefer to pay them that way. All automatic payments can be viewed in your Past Payments so you’ll always have accurate records that you can easily navigate to by date. The records include the users paid in each payment, the projects that time was tracked to, how many hours were worked and the total amount paid. You can export these records or print them. The new Keep Idle Time organization setting gives your more control over how time is tracked. 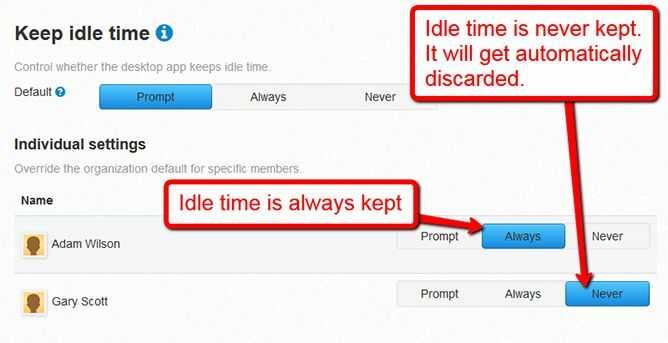 The organization default is to prompt the user with the option to keep or discard time when they go idle. Now you can make that choice for them if you need to. You can set the application to automatically throw out any idle time so you know your team is only tracking time that is spent actively working at their computer. You can set the application to automatically include idle time as well. Perhaps you want to know when your team goes idle or you have team members that may do activity away from the computer. You can make this setting the same for every user in your organization or on a user by user basis.